In the aftermath of the federal election last week, many are asking what Stephen Harper will do when he takes his long awaited and much-craved majority for a test drive. He has an opportunity to frame a sensible medium-term agenda. But will he blow the chance? Many Ottawa-watchers are seized with precisely that question, but no one has a clear idea. The uncertainty amongst “insiders” in the capital is palpable -- an odd state of affairs given the Tory majority. My guess is that he’ll move quickly to implement the measures he unequivocally stated he would do. The Conservatives will reintroduce some of its signature initiatives such as its “tough-on-crime” agenda, and the oddly contradictory abolishment of the long-gun registry. They will introduce legislation to end pay equity in federally regulated institutions and eliminate subsidies to political parties. Doing this quickly will be a nod to his base and caucus for their loyalty. It will also solidify the Conservative lock on party fundraising, leaving the other parties eating their dust for the foreseeable future. The Harper Conservatives will not deviate much from its governing philosophy of “gradual incrementalism”, a baby-step approach to reframing government and Canada in its image. 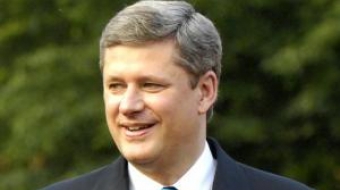 Mr. Harper is not a bold, broad sweep kind of guy. He is after all, the son of an accountant. He is also undeniably a hugely successful career political tactician. What Harper has accomplished in ten years is nothing short of remarkable. From forming a protest party that was a regional rump, to uniting the divided right, to destroying his life-long archenemy, the Liberal Party, Mr. Harper has proven to be a formidable political chess master. That the last thing he wants to do is fool around with his winning formula. There can be no dispute that it has worked for him and his Conservatives. That is one of the reasons why very surprising for Mr. Harper to become the champion of “openness, accountability, and transparency” as he was when in opposition. Being just the opposite has served him well, although the same cannot be said for Canadian democracy. We will see other moves that satisfy the base such the introduction of Senate term limits, and provincial elections for senators. But by their very nature, both of those would have no constitutional standing since Senate reform, something Harper has long promised, requires an amendment to the Constitution. So, it will be smoke and mirrors, much like his fixed election date law that he then broke to call an “unnecessary election” in 2008.